Here at Conti di San Bonifacio, our vineyard and our award-winning, organic wines are at the heart of what we do. All who come here experience the mesmeric beauty of earth and crop. The vine is the King of crops in Tuscany. This is your chance to immerse yourself in our way of life and have a true, authentic Winery experience. 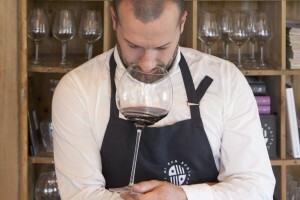 Whether you choose to spend a day in the life of a Winemaker, learn about all our varieties of red wine, improve your knowledge of the fundamentals of wine, or just want to have a drink, we offer you a variety of diverse wine activities where you can take a fun approach to the art and passion of wine. Enjoy! Have you ever wondered what it is like to be a winemaker? This wine tasting incorporates the entire wine making process, from vine to bottle, and every step in between. You will taste all of our wines, Monteregio, Docet and Sustinet, straight from the barrels. You will come to appreciate how much wine changes with time, different barrel aging and where we as winemakers make the difference. After this experience, you will have a better understanding of all the operations involved in the art of winemaking. Enjoy a tasting of all three of our award-winning varieties of wine. You will do a horizontal tasting of our Monteregio, Docet, and Sustinet. The varietals of Sangiovese, Cabernet Franc, Cabernet Sauvignon, and Syrah will be explored. A selection of local cheese and meats will accompany the tasting. The experience of sampling wine on the same property where it is produced is a rare and unique opportunity. If you are curious about wine and would like more confidence in your wine knowledge, then this class is a must. This class will take you through the fundamentals of wine, where you will get a chance to explore the tannins, acidity, flavors, characteristics, fingerprints of grapes and malolactic fermentation. You will also learn how to taste wine and take tasting notes. New this year at Conti di San Bonifacio is our very own Prosecco. You now have the opportunity to enter the world of Metodo Classico and Prosecco to explore and understand terroir and grapes, and of the distinguishing characteristics of each. Learn of the different grapes used in the production of these sparkling wines, which depend upon the various zones in which they are produced as well as the different techniques of each wine maker. Ever dreamt of wearing the shoes of a wine maker? CDSB gives you the chance to blend your own wine! During this 2-day activity, you will first walk the vineyard with us to learn the different aspects of viticulture and winemaking. A guided tasting of our three red wines to explore aromas, texture and taste will complete your day. The second morning, we will present samples from different barriques and will work with you to create a blend that suits your palate. Once the wine has completed its cycle and you have personalized your label, 300 bottles of your very personal wine will be delivered directly to your door..